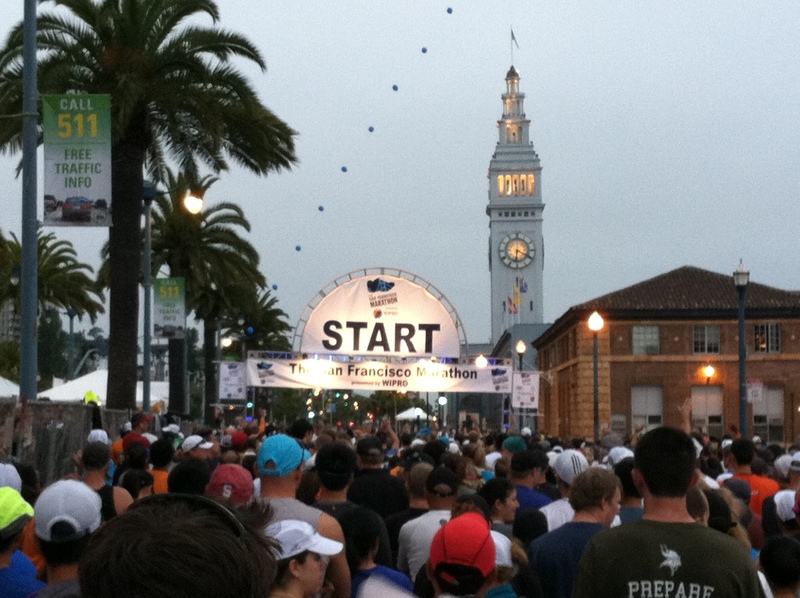 Last week I ran the San Francisco half marathon with my stepmother and stepsister. This was our second year making the trip and run. Let me qualify this by saying that I hate running. I have never had the runner’s high. Running is actually wildly overstating what I do. I jog, I limp, I shuffle even. That said, I love the San Francisco race. Something about race day makes all of those months, those hours logged in the park or on the treadmill worth it. People run for their own reasons, and mine are all based on food. With a big milestone birthday looming next year and a passion for cooking and eating at the incredible restaurants we work with, a girl has to do something. Love it or hate it, for me that something is running. If I am going to run, then focusing on San Francisco and the bay views, glorious bridge and amazing selection of incredible restaurants, makes it all a little easier. Following a great recommendation, our little team of three chose Spruce for our pre-race dinner and it turned out to be the perfect place. We spent the evening in beautiful surroundings, with incredible service and a meal that helped feed our anxious appetites and calm our nerves. 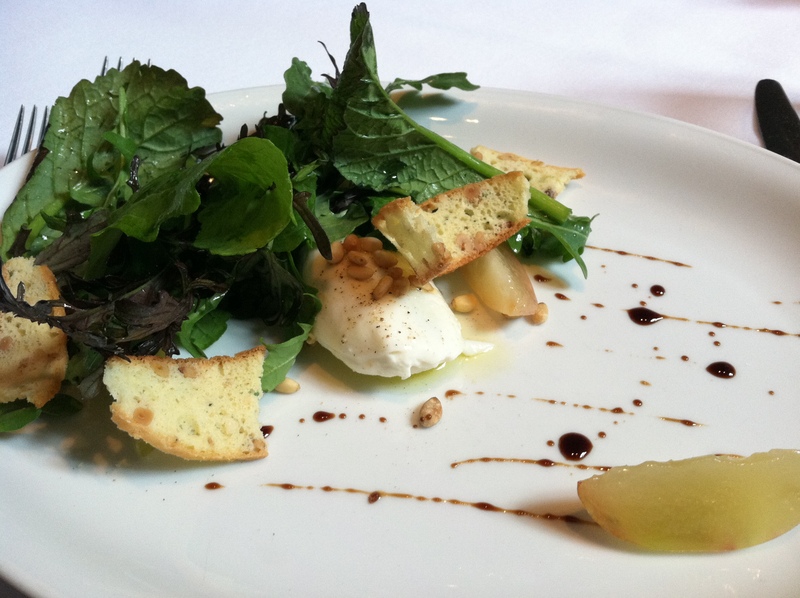 All three of us started with the White Peach and Burrata salad, because wouldn’t you? It was bliss on a plate. Perfect salad greens, the sweet crunch of an almond biscotti and a thick balsamic vinegar to tie it all together. 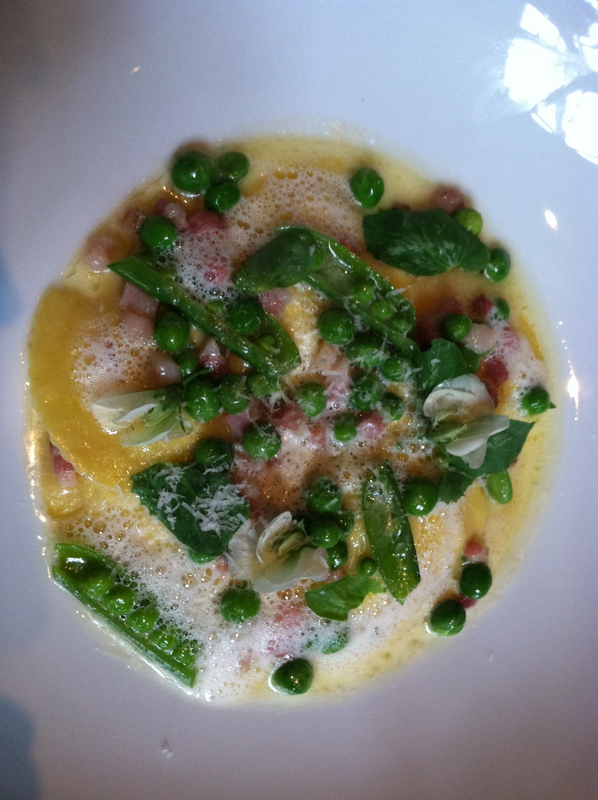 I longed for the slow roasted short ribs as an entree, but instead choose the Ricotta Ravioli with Sweet Peas and Pancetta. It was an excellent choice and came with these beautiful little pea blossoms on top. 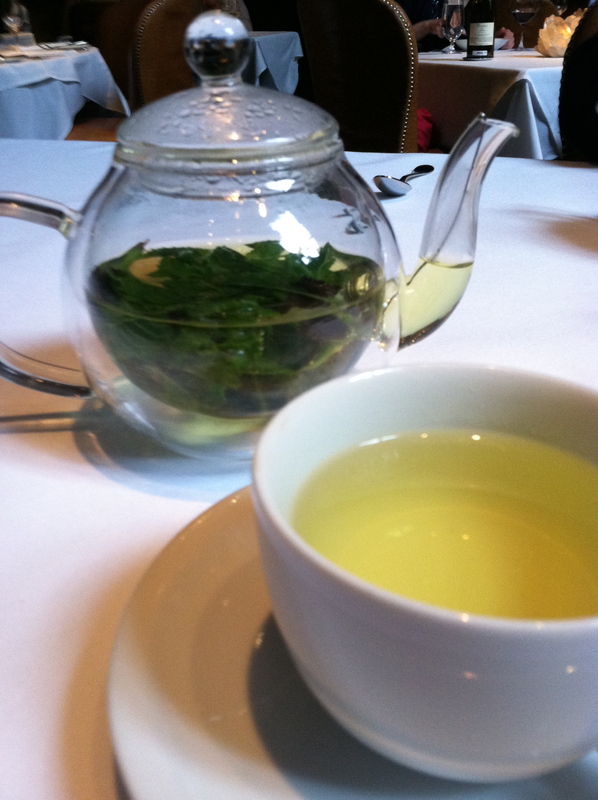 The mint tea at the end of our meal had the most elegant presentation in a clear glass teapot with floating mint leaves and the smell when it was poured was exactly what I needed to relax and clear my head. 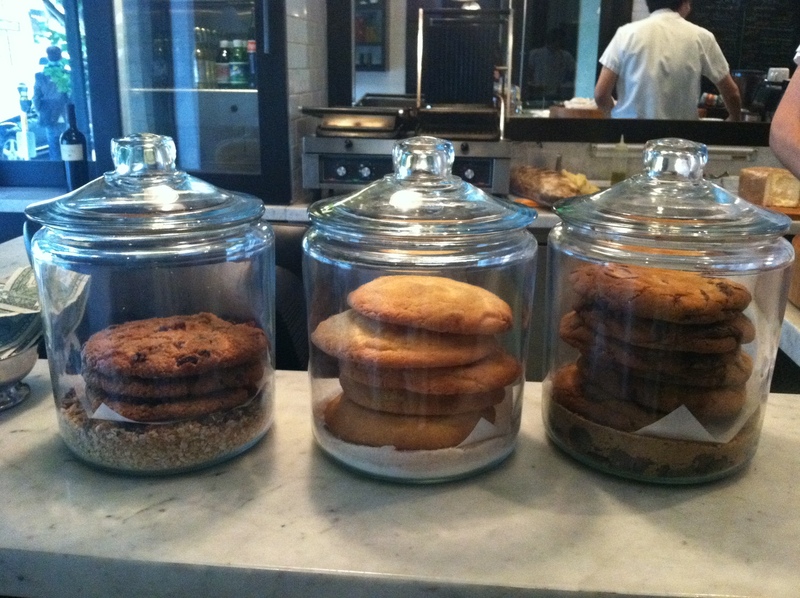 Spruce also has a café near the entrance with these wonderful looking cookies. I was so tempted, but didn’t. Maybe next time. We all agreed that should we do this race again, Spruce would be the treat we give ourselves after we have finished, when we can properly indulge. Having the freedom to carb-load was a lovely feeling, denying ourselves their incredible wine list and dessert menu, not so much. Don’t feel that you need to run thirteen miles to go, although I would recommend highly that you do get a reservation. The race the next morning was so filled with the electric charge of nerves, excitement and camaraderie that you can’t help but feel pumped up. We started near the Ferry Building before dawn and the quiet clapping of a sea of sneakers against asphalt was just the loveliest sound. Where else can you sightsee like this while you run? We ran along the Embarcadero, passing Fisherman’s Wharf with the smell of sour dough bread being freshly baked for the day, and then headed along the waterfront towards the Presidio. The first hill at Fort Mason is a challenge, but nothing compared to the hills at miles five and ten. At a certain point, it becomes more about climbing and less about running. 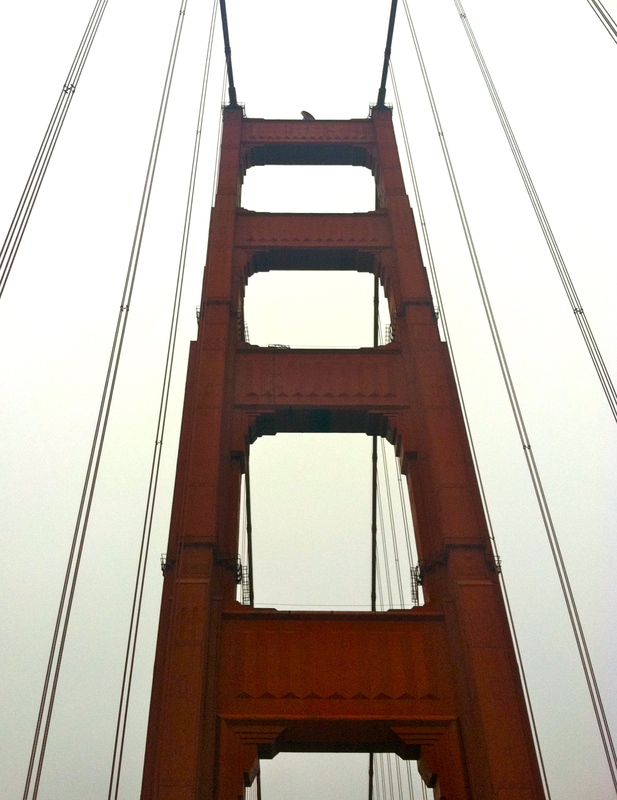 The Golden Gate Bridge is the icing on the cake for the whole event. I couldn’t help but grin when I stepped foot on it. Just getting to run across the bridge and back en masse was a big, wonderful adrenaline boost. Everyone around me seemed to feel it too. We then continued on back through the Presidio and along the cliff above Baker Beach and finally into charming San Francisco neighborhoods weaving our way through the streets to the finish in Golden Gate Park. I loved every minute, the views, the enthusiastic people cheering us on, the swarm of colorful jerseys and personalities running along side me, and the personal satisfaction of seeing the finish line. Maybe I do get a runner’s high. Big thank yous to Annie and Lisa!